Even though Blair Witch was a trendsetter and game changer for cinematic horror, it was far from original. Its pseudo-documentary structure had already been used in films like 1980’s Cannibal Holocaust and 1998’s The Last Broadcast. 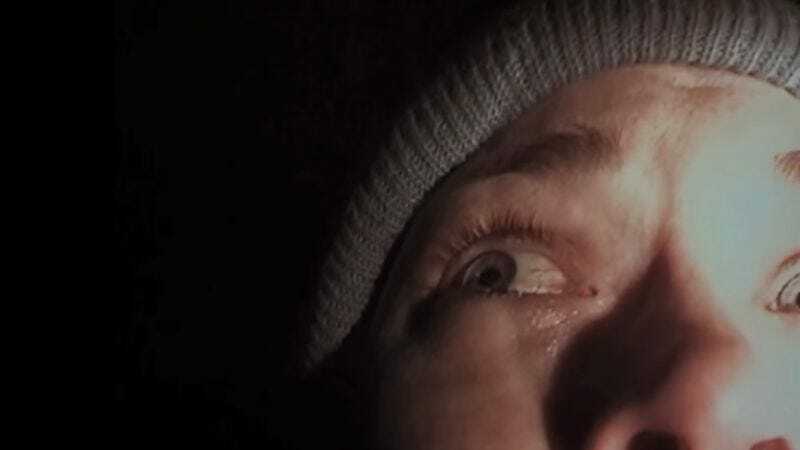 So what made The Blair Witch Project special? As Hollinger sees it, it was the first major horror film to take full advantage of the internet. By 1999, people were just starting to make the internet part of their daily lives. But there was no such thing as social media at the time, nor were there convenient video-sharing platforms. In short, information got around a lot slower in those days. Sanchez and Myrick cleverly kept the origins of their entirely fictional film shrouded in mystery but built up an elaborate, spooky mythology on the popular Blair Witch promotional website. The movie’s rough-hewn, shaky style, created by having then-unknown actors film themselves with handheld digital cameras, was not like anything the general public had ever seen on the big screen. Audiences of 1999 believed Blair Witch could actually be true, which lent authenticity to its vague jump scares. The movie did not invent the “found footage” style. Italian filmmaker Ruggero Deodato had been there almost two decades previously. But The Blair Witch Project brought the technique into the mainstream. The runaway success of 2007’s Paranormal Activity helped make “found footage” a much-imitated horror cliche, a trend confirmed by the next year’s Cloverfield. But the current wave can definitely be attributed to the success of Blair Witch.